This exhibit was initiated through a collaboration between the Bakhrushin Central State Theatre Museum in Moscow, Russia; the Museum of Russian Art in Jersey City, New Jersey; the University of North Carolina at Asheville in Asheville, North Carolina; and Grabbe Inc. NY. This extraordinary exhibit highlights the life of Dame Sonia Arova and Oleg Briansky, legendary ballet dancers and choreographers of the second half of the 20th century, who made significant contributions to world culture. On view are rare images of the famous dancers Rudolf Nureyev, Dame Sonia Arova, Oleg Briansky, Mikhail Baryshnikov, Tamara Toumanova, George Balanchine, Nathalie Krassovska, Felia Doubrovska, Olga Spessivtseva, Serge Lifar and others. The exhibit also includes theatrical sketches, costumes, newspaper publications, original letters and documents from the Bakhrushin Central State Theatre Museum in Moscow, Russia; and from the personal archives of Oleg Briansky, Igor Roussanoff and Thor Sutowski. Photographs capture rehearsals and performances of such classical pieces as Swan Lake, Giselle, La Sylphide, and some prominent ballet duets of the last century. Additional archives display Oleg Briansky and Alicia Markova in The Merry Widow, with the Ruth Page Ballet in 1955; Tamara Toumanova and Oleg Briansky in Don Quixote with the London Festival Ballet in 1952; and Sonia Arova and Rudolf Nureyev in Swan Lake at the Royal Ballet in 1962. The personal diary of prima ballerina Dame Sonia Arova is also part of the exhibit with entries starting in 1942. Sonia Arova won fame in 1960s when she danced with Rudolf Nureyev, including his American debut & his first Royal Ballet Swan Lake. She became Artistic Director of the National Ballet of Norway in 1961 & in 1971 she co-directed the San Diego Ballet with her husband Thor Sutowski. In 1976 she became teacher at the Alabama School of Fine Arts. She was also Artistic Director of the Alabama Ballet. 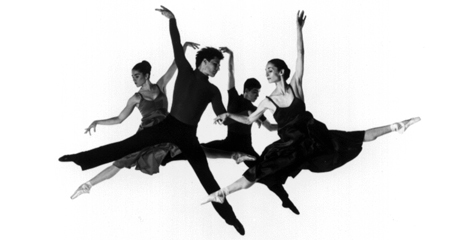 In 1996 she returned to San Diego and became artistic advisor to the California Ballet. A special section is devoted to the work of costume designer, Igor Roussanoff and his collaborations with Dame Sonia Arova, Thor Sutowski, Wes Chapman, Mark DeGarmo, and Richard Helldobler. Two award-winning documentaries will be screened: Happy to Be So by Yelena Demikovsky, about the life and creative partnership of Oleg Briansky and his wife Mireille Briane; Arova by Colleen Laeger, a short film about the life and work of prima ballerina Dame Sonia Arova. The show also will take place at the University of North Carolina in Asheville, Malcolm E. Blowers Gallery, One University Heights Asheville, NC 28804-8506, February 12 -26, 2013.
or Sergei Grabbe (917) 957-5701, email: info@grabbe247.com.